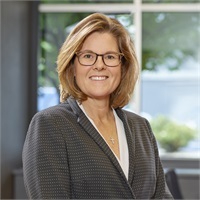 Teri, a partner with The Hollander Group at Hilliard Lyons, has been counseling high net worth individuals and families, not-for-profits, and corporate clients since 1997. Teri’s primary responsibility is to provide comprehensive advice to clients. She enjoys helping families identify and achieve their most meaningful financial goals. Teri completed the Security and Industry Institute® course of study at the Wharton School at the University of Pennsylvania and is a Registered Investment Advisor Representative. She has earned Certified Investment Management Analyst (CIMA®), Certified Private Wealth Advisor (CPWA®), Certified Financial Planner professional (CFP®) and Chartered Wealth Advisor (CWA®) designations. Teri received her BS Degree from the IU Kelley School of Business and her MBA Degree in Finance from the University of Evansville. She joined Hilliard Lyons following a 10-year consulting and treasury management career in the consumer finance industry.